Welcome to our May 2018 edition of the New Jersey Psychological Association (NJPA) E-Newsletter. 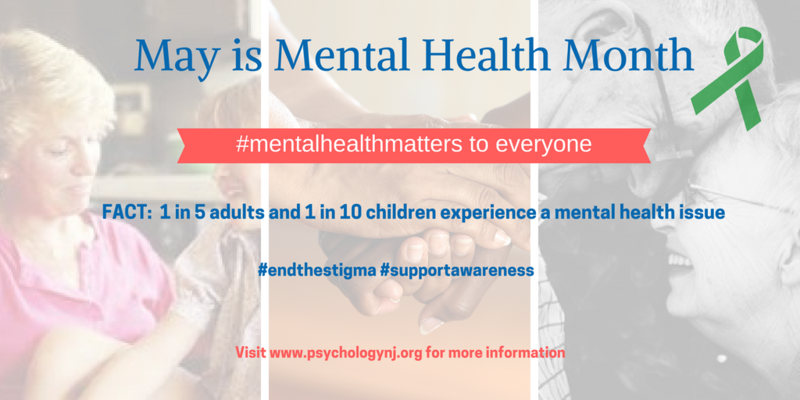 This month’s theme is Mental Health Matters in honor of May is Mental Health Month. Nationally, May has been designated Mental Health Awareness Month since 1949, in an effort to encourage greater public awareness of mental illness and to remove the stigma, fear, and misunderstanding about mental illness and thereby promote much needed treatment. The efforts of NJPA led to the passing in 2017 of P.L., Joint Resolution No. 9, Senate Joint Resolution No. 62, making May is Mental Health Month an official designation in the state of New Jersey. 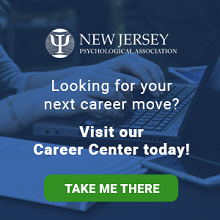 NJPA has also led a multimedia/multi-event campaign during this month to focus on the important contributions of psychology and psychological practice. 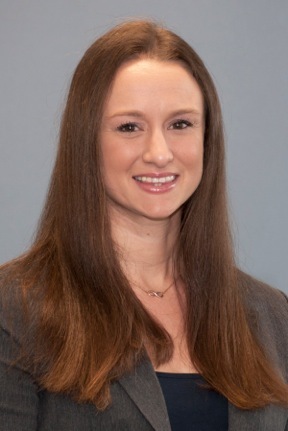 Further information on the work of NJPA, resources on mental health, and assistance in locating a psychologist in your area can be found at www.psychologynj.com. In this edition of our E-Newsletter we have an opportunity to speak directly to the public we serve, and in a manner which highlights our mission statement: “The advancement of psychology as a science, as a profession, and as a means of promoting health and human welfare in an atmosphere that supports the diversity of its members and the society at large.” This edition offers a looks at just some of the ways psychologists work to fulfill this mission. Does Your Partner Need You, or More? Your heart hurts when you watch your partner struggle emotionally or get pulled into self-destructive behaviors. You can’t help but feel despairing when fixing their problem is not in your power. But, the following suggestions can assist you in helping them, either by influencing them to make a change or to seek therapy. Find more information on our contributors here.